The Indala® 125 kHz Long-Range Series is part of HID's latest line of highly-secure proximity readers. The HID Indala Long-Range reader, with FlexSecur® technology, has a read range of 17 to 24 inches (45 to 62 cm) and is ideal for parking applications, and other situations that require longer read ranges. These high-quality Indala Proximity Readers deliver outstanding and consistent performance with intelligent programming technology and design that matches the Indala Arch bezel design. All HID Indala 125 kHz Proximity Readers feature FlexSecur technology, which provides an added level of access system security through a verification process at the reader. Solely an HID Indala-brand feature, FlexSecur screens out unauthorized cards prior to sending access control data to the host system. Indala FlexSecure Technology for the Industry's Most Secure Proximity Readers - Exclusive Indala FlexSecur Password-Protected Security between Card and Reader screens out unauthorized cards prior to sending access control data to the host system. 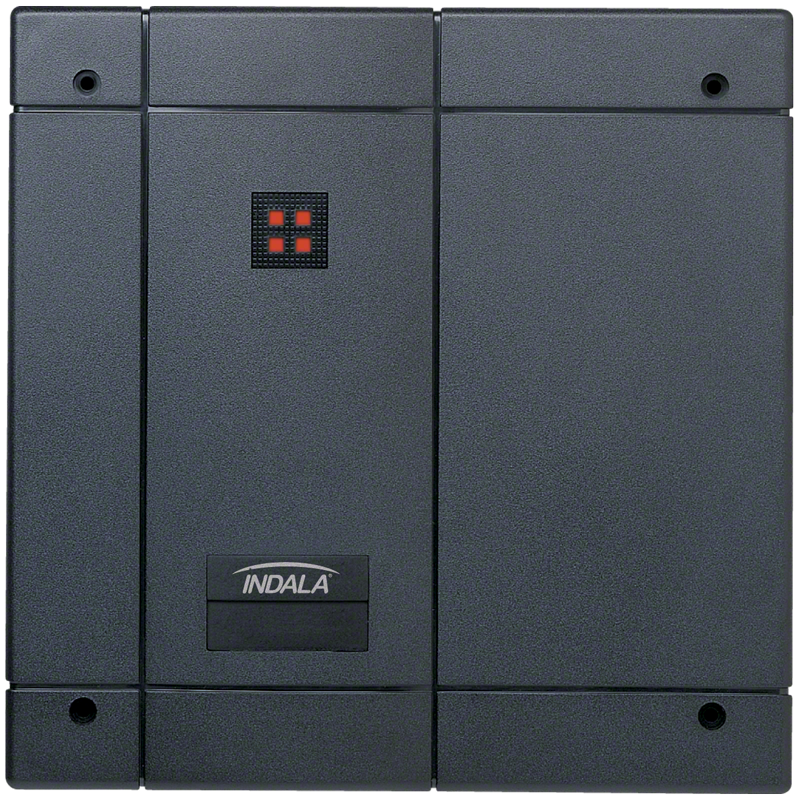 Indala Long-Range Series Readers are Part of an Expansive Product Portfolio That Meets Every Proximity Reader Requirement - The HID Indala Proximity portfolio includes classic, mullion/slim, wall switch, mid-range, long range, and heavy-duty keypad readers for every application. Superior Format Control for the Most Application Choices - Indala offers card formats of up to 172 bits, and readers configurable for Wiegand, Magstripe, and Serial output formats. Matches the HID Indala "Arch" bezel design. Compatible with all Indala 125 kHz cards and tags.